One of our family's favorite things as the weather starts to get cooler is a cup of hot chocolate. We especially love it around Christmas time. 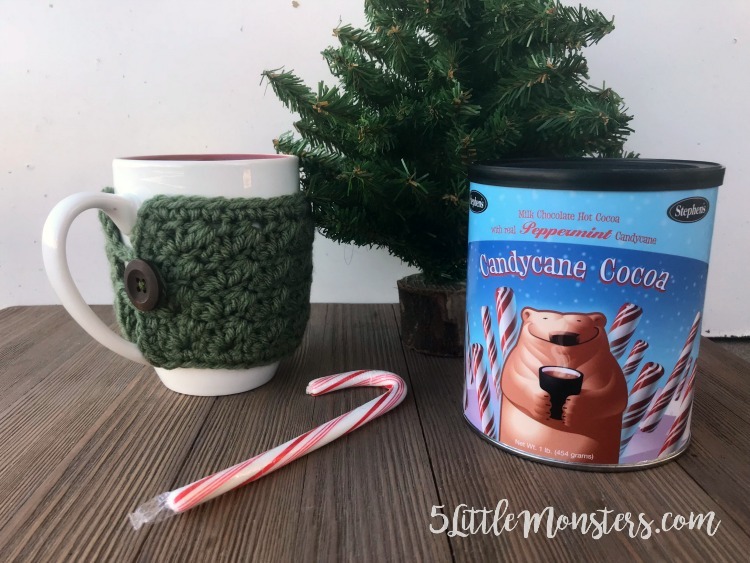 There is nothing better than going out to see Christmas light displays or playing in the snow and then warming up with a delicious cup of hot chocolate. Hot Cocoa also makes a great gift for neighbors, friends, or teachers. 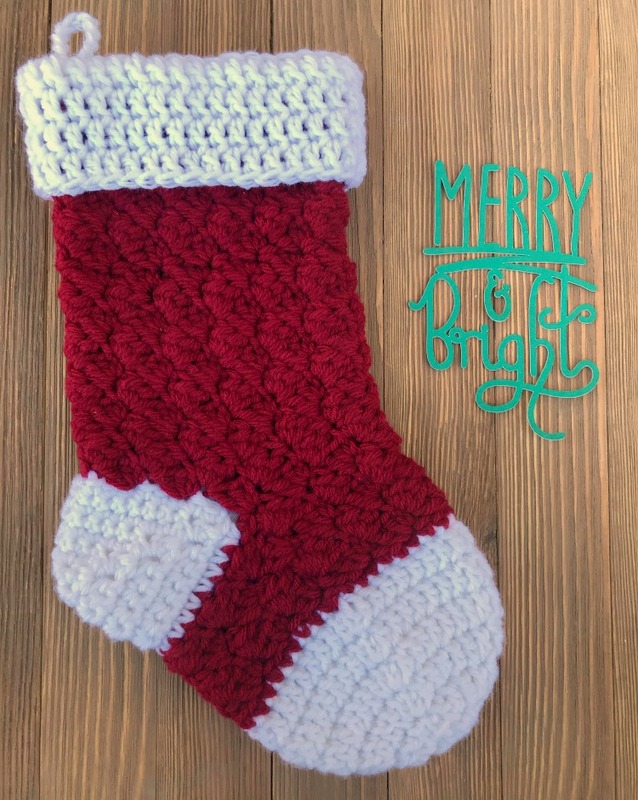 You can add in a mug or two and crochet some mug cozies to wrap around them. My family does an ornament exchange every Christmas as part of our family Christmas party. We all draw names and we have to get an ornament for that person. Most people buy the ornaments they give but I like to make most of the ones my family brings. This year I had plans to crochet most of our ornaments, I had specific things picked out for each person. We held our family Christmas party on Thanksgiving after dinner this year and I don't know why but November seemed to fly by this year. Maybe it was because Thanksgiving was so early this year. All I know is I had great plans and then all of the sudden it was the week of Thanksgiving and I had no ornaments made. I decided that there was no way I had time to crochet a bunch of ornaments, I needed to find something quicker. 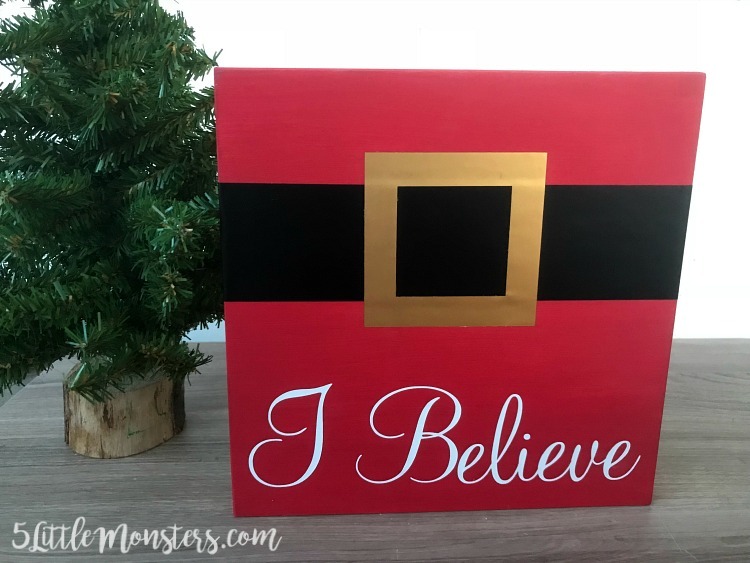 When I need a quick project I usually turn to my Cricut and this time was no different. 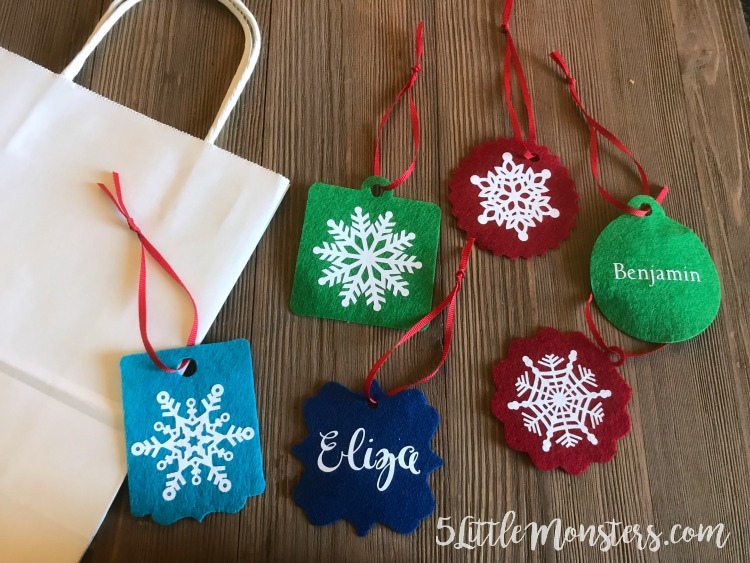 In my last post I shared how I used my Criut Maker and Cuttlebug to make embossed leather tags to put on crocheted hats, blankets, scarves, bags, etc. I had the idea for that project but I needed something to put the tags on so that I could see if it worked. 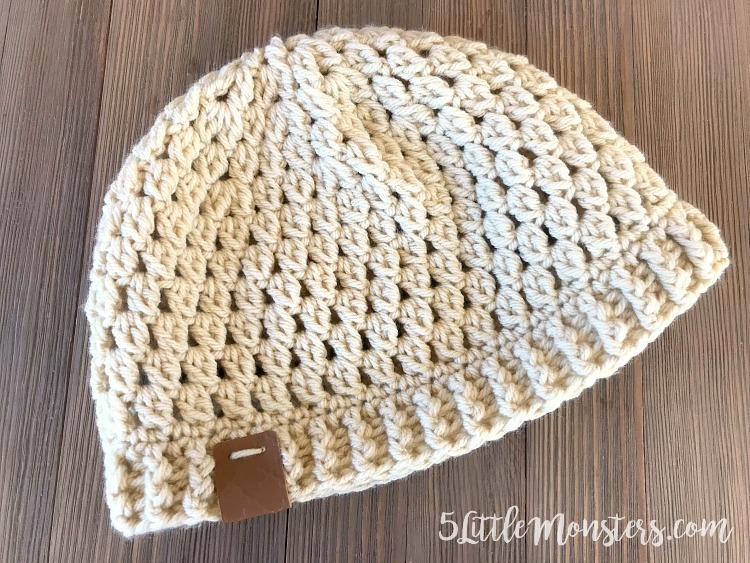 I made a quick hat to try it out and now I am going to share the pattern for that too. I have cut a lot of things with my Cricut but up until recently I hadn't tried leather. When I went to the Cricut Mountain Make-a-thon this summer and they talked about the Maker cutting leather and I started thinking about projects I could make. While there I also went to a class where we used the Cuttlebug and the person teaching the class mentioned that it would emboss other materials beyond paper and card stock, one of which was leather. I had never really used a Cuttlebug before and since I don't do a ton of paper crafting I hadn't ever really considered getting one. Then I had the idea for this project and decided I needed to get one. I love to try out new crochet stitches but I have also found that I have some favorites that I always come back to. One of those is the sedge stitch. I love the texture of it and although I think that the only thing I have shared on my blog, before today, that uses that stitch is a dishcloth pattern, I have used it for other projects too and I always love the look of it. I will have to share some of the other projects I have made with that stitch soon. A couple months ago I participated in a Halloween themed round of Craft Lightning, where a bunch of bloggers get together to share quick craft projects that can be made in 15 minutes or less (drying time excluded). 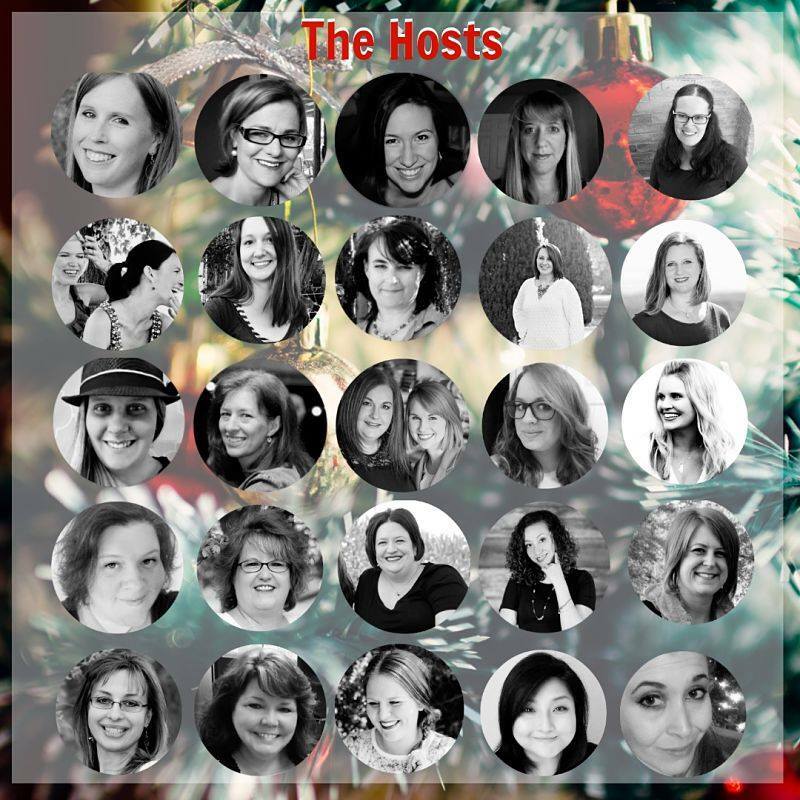 This week is the Holiday round and today I am sharing my project. Last time I made a quick little Halloween sign and I really like the way it looked sitting up on my mantel with my other Halloween decorations so I decided to use that as inspiration for this month's project. 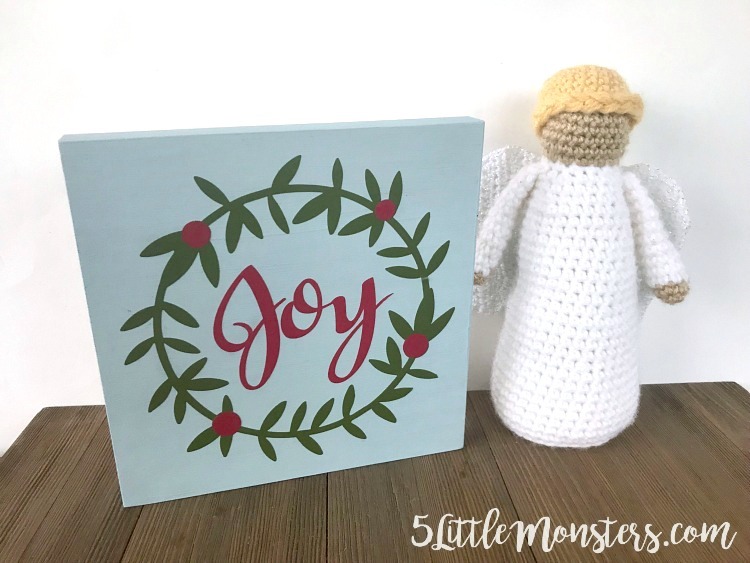 I used the same kind of small wooden canvas and cut out a Christmasy design with one short word, this time I chose the word Joy. For Halloween I decided to make cut out some window cling to put on our front door. My kids really liked it, especially my youngest daughter who helped me put it up. 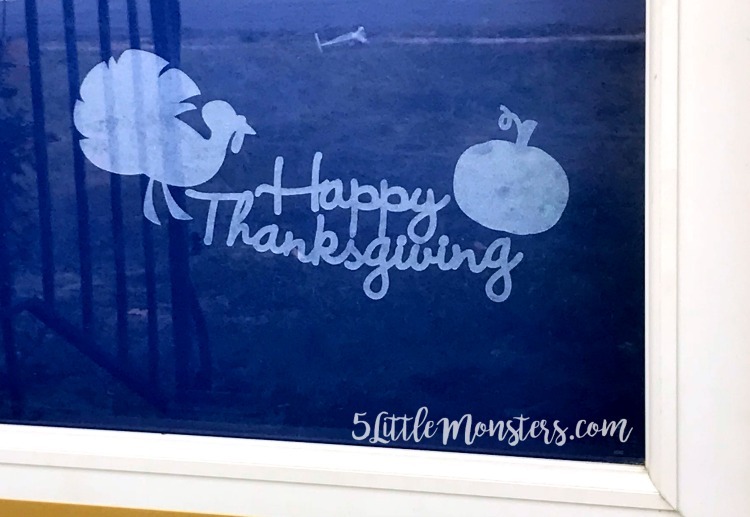 I finally took it down a couple days after Halloween but I really wanted to put up something new for Thanksgiving. One of my boys requested a turkey so that is what we did. I added some words and a pumpkin too. It is really hard to get decent pictures of the glass door because of the reflections, I think it looks better in person than I can capture but hopefully it gets the idea across. -Supplies for this project provided by Cricut and Oriental Trading Company. 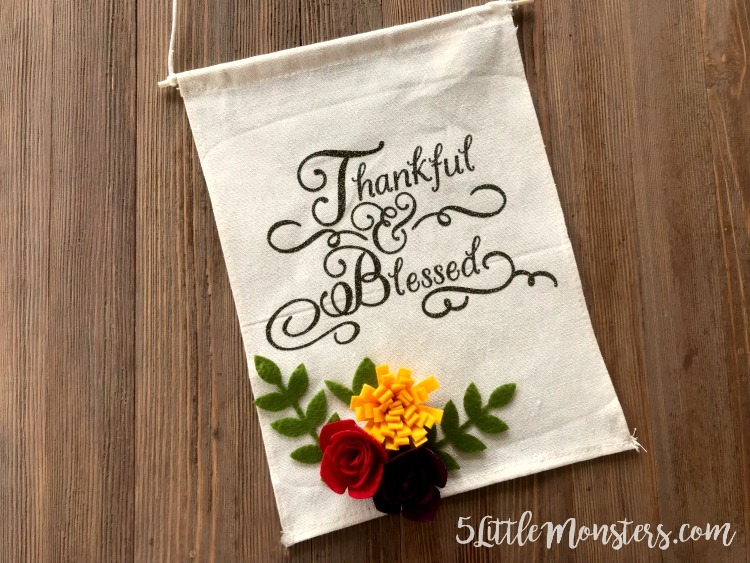 I was playing around with my Cricut the other day and made a little wall hanging for Thanksgiving and I thought I would share it here as a quick project idea. One night last week I got the kids in bed and was waiting for my husband to get home from work. I probably should have been working on writing up blog posts or cleaning my house but it was one of those days that I just wanted to make something. Not necessarily work on a project that I needed to do for some reason, but just sit down and play around with my craft stuff, just to be creative for no other reason than because I like to. This little banner was the result of that late night crafting session. 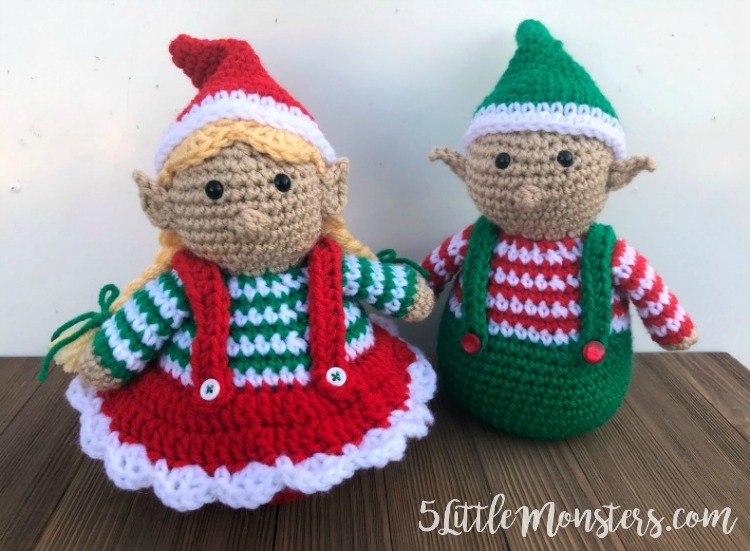 It is time to start thinking about Christmas crafting and this year I made these cute little crocheted Christmas Elves for Fairfield World. They both have little striped shirts and suspenders, pointy hats and pointy ears. The girl has a dress and braided hair too. 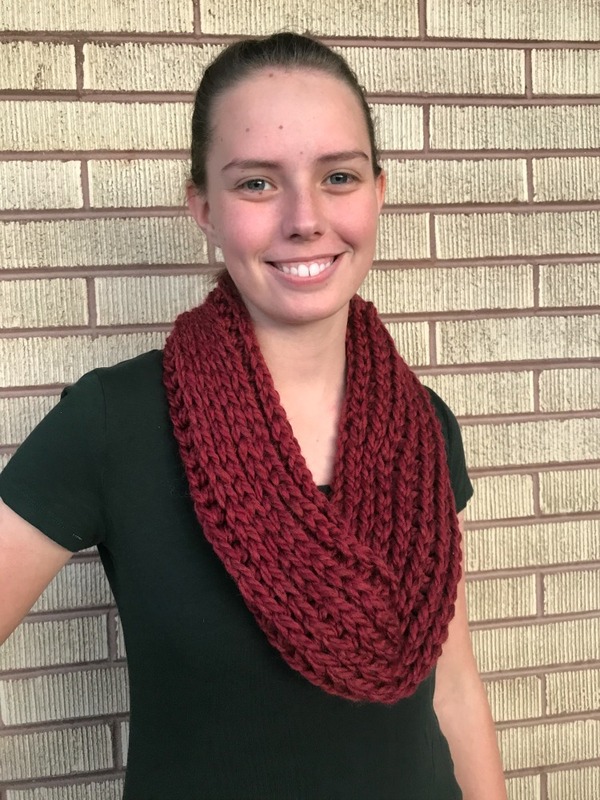 I love the look of knitted items but I don't really love to knit. I taught myself and I am such a slow knitter, so as much as I like the look of knit I would rather crochet. 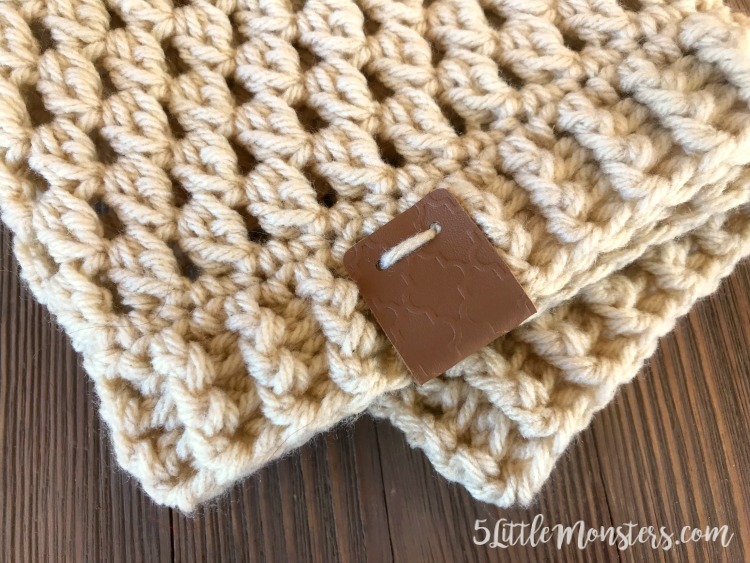 This stitch is a perfect because it uses crochet to get a look similar to knit. And the best part is that it is just half double crochet. With Thanksgiving at the end of the month, November is a time when we often try to focus on being grateful for everything that we have. 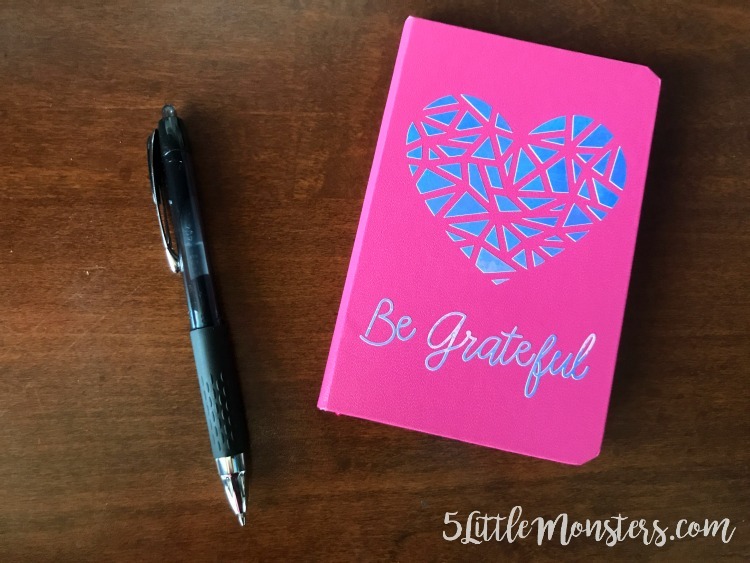 Whether it be in the form of a gratitude post every day of the month on Facebook, or a family activity where everyone writes down or says what they are thankful for, or whatever else you do to express gratitude throughout the month.